Miss Binney, Camden Palace 1982. Monday, 9 April 2012 The above photograph is one of those in my new show 'Endless Night - 35 Years of Nightclub Portraits' which starts on Friday at the Museum of Club Culture in Hull. 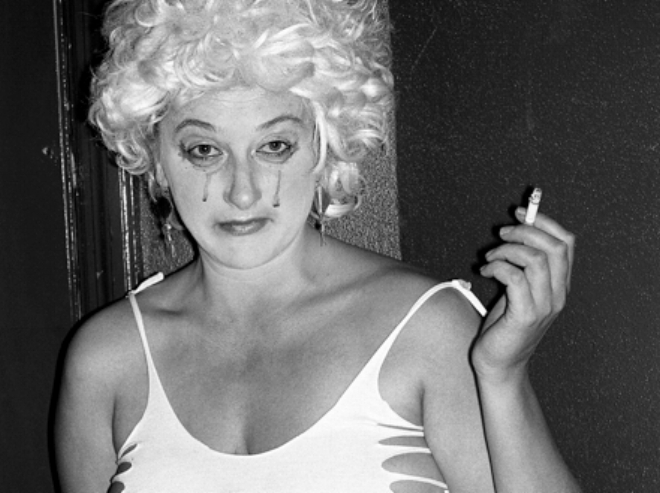 There are sixty black and white portraits on show, all taken in London nightclubs, spanning the years 1977 to 2011. The show will be on until the end of May. The Museum of Club Culture is at 10 Humber Street, Hull, HU1 1TG. I guess I should have mentioned it before but I also have a show running at the moment in London at The Society Club in Soho. Called 'Unseen.' This show mainly features previously unseen portraits from my years as a rock photographer. The Society Club is at 12 Ingestre Place, London W1 F0JS. It runs until the end of May too. I'd like to apologise for not managing to post anything at all during March, my wife was ill and my eye was a off the ball a little.